Michael Fitzpatrick Architects Ltd. A.C.F.L. Rd. 10. 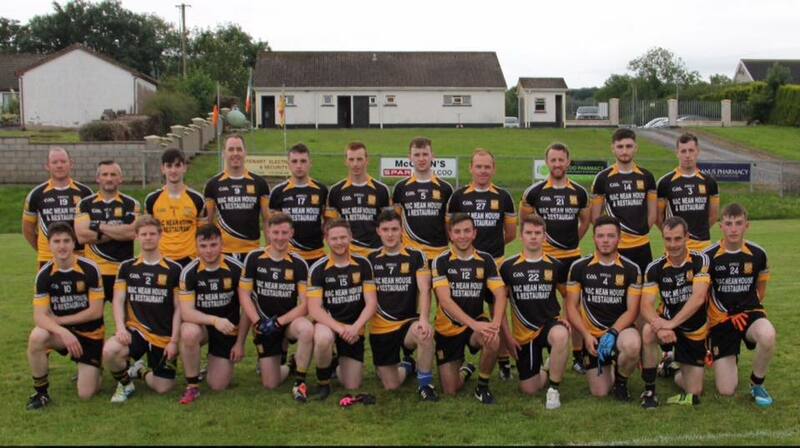 Shannon Gaels Seniors play Redhills at home in Phairc Gaeil Na Sionnáinne, Blacklion this Sunday June 17th, 2018 at 2pm. 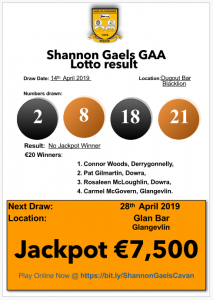 Club Lotto Result Update, Draw June 10th, 2018.